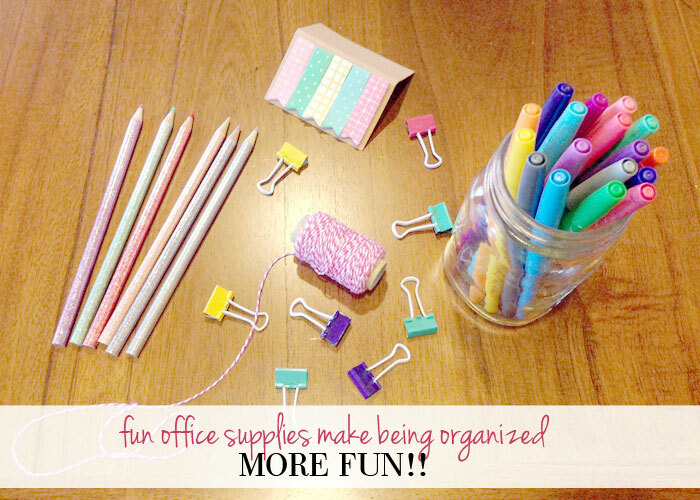 I want to help you get organized, so I'm here today to share all of my best kept secrets! I'm a nutcase when it comes to planning, scheduling and organizing my life. Now don't get me wrong, my house is falling apart 99.95% of the time because I still have three children ages 3 and under, but I do my best. And the way I keep my head above water is to stay organized on paper. I wanted to share with you how I do it and give you some practical tips to help you figure out what might work for you. Because let's remember, we are ALL different and there is no formula to staying sane and organized. How boring would that be if there were?! 1) My planner - I use an Erin Condren planner. A couple of other great planners I would recommend are the Day Designer from Whiney English and the Simplified Life Planner from Emily Ley. 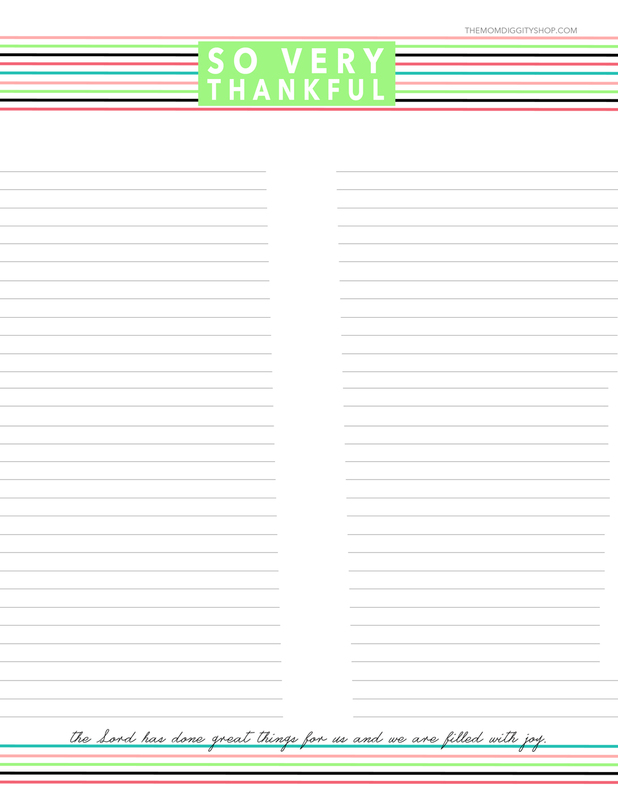 I chose to use the Erin Condren because it fits best with my stage of life and the way it's divided up. 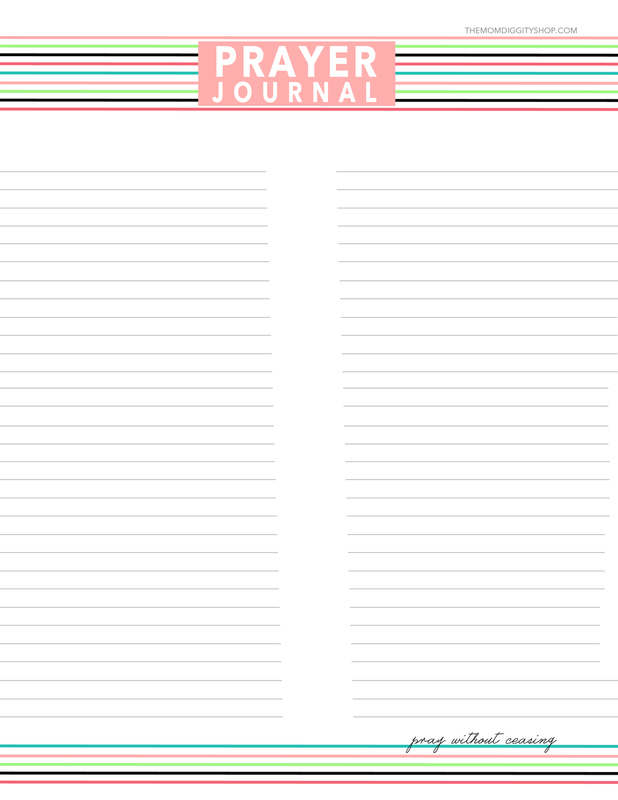 2) Blog & Shop Notebook - For brainstorming and note taking for my blog & shop. This really helps me keep all of my ideas and notes in one place. 3) Thrive and Influence Notebook - This is for meeting notes, planning notes and brainstorming. We also use a LOT of google docs for these two organizations to keep things organized but having one place for all of my notes is really important for me. 5) Notes and Planning Notebook - This is where party planning, to do lists, and any random lists fall in. I always need a "catch all" that might not fall under and specific category. 6) Binder for all the things - A place where invoices, important papers and other types of scheduling can be organized. 7) Small prayer journal - a place to keep track of who I'm praying for, what I'm praying for my family, etc. 8) Lots and lots of coffee and sweet tea - because duh. This week I did about 57 loads of laundry. I lost count somewhere around 8 (so it was probably more like 8).Isn't laundry just the worst? I don't think I've ever heard a mom say "I LOVE DOING LAUNDRY! STINKY CLOTHES ARE MY FAVORITE!" And if you do say that, then you are welcome to come over any time and take over laundry duties for me! In this last round of laundry it was time to move the girls all up a clothing size. I've been shoving my little chunky almost-five-month old into 0-3 month clothes long enough (sorry Kenz). And Zoey was clearly outgrowing everything I put on her also, so it was just time. I may have shed a few tears while I packed up that box of newborn clothes. As I folded each piece remembering the special times that each of my girls wore certain outfits, and remembering how tiny each of them were. It made laundry seem not quite so bad for a moment or two. Looking at those teeny tiny baby clothes. That went on my teeny tiny girls. My precious gifts. I still stop myself several times a day and say "whoa, I have THREE kids." It's like I blinked and opened my eyes and they just appeared. These little miracles. My days can be incredibly long, and sometimes Brook is gone from the time they wake up and doesn't get home until long after bedtime. Those days where I literally feed them peanut butter and jelly 3 meals a day. And we are lucky if any of us brush our teeth or have a clean bowl to eat our cereal and peanut butter from (praise the Lord for paper plates!!!). There is something about after they go to bed, and I finally sit in the quiet that I realize what a joy my messy home is. And I can't help but praise God and thank him for the laundry, the sticky floors and teeny tiny baby clothes packed away in that box "just in case" because I can't bear to part with them. And the messy, sticky and piled up pieces of my life are just perfect. They are exactly as they should be. Messy, sticky and piled up. And then there are those defining moments as a parent that you will never forget. We were driving in the car and Jessi said to me, "Mommy, did you know God made me? And He loves me!" Yes baby, He sure does. THAT is why the stinky clothes are worth every single load. Also, I'm not really sure why I do so much laundry when my children are naked 99.9% of the time. I get asked all the time how I handle it all. 3 kids 3 and under. That's a lot of kids. A lot of babies. My day revolves around constantly cleaning up messes, breaking up girl fights and making sippy cups of milk and juice. The second I sit down, someone needs something. I hear "mommy" approximately 27 billion times a day. So, you want to know how I do it all? The truth? I don't. But I have some great advice to help you excel at managing multiple babies! These are some things that have really helped me through the last couple of years. 10. Make the room share move early. If you are planning to have your big kids share a room to prepare for baby, make the adjustment early. Remember they are all still babies, and give them time to adjust to all the new changes. 9. Choose one task per day. This has been a big rule for me. Instead of trying to conquer it all, I just choose one thing to conquer. Some days I do the dishes, another day I do laundry. I just don't attempt to overwhelm myself with taking over the world all in one day. 8. Ask for help. This is the hardest for me. I don't do well with asking for help because I feel like I should be able to do it all. I struggle with feeling like because this was my choice, I should be able to handle it all. The truth is that I can't do it all, and I need to ask for help sometimes. Find people who you can ask for help from, and don't be afraid to do it. 7. Find a network of moms. However you have to find them. I'm learning a lot about being intentional with my friendships. If this means you have to seek out people. Email some moms in the season you are in, you never know you could find your best friend! Have someone to send a text message to when you need encouragement in the middle of the day and to share the good days with too. 6. Make time for your husband. You are so busy all day with those little blessings. When bedtime finally comes, there's nothing more you want to do than dig your face into a carton of ice cream and watch Pride & Prejudice for the millionth time. But there's that man. The man that needs you. Take the time to remind him how important he is to you and listen to him. 5. Step away from Pinterest. Use paper plates. Serve corn dogs for dinner. Let your crafts consist of actual crayons and coloring books. Do not compare your parenting to those "perfect moms" you see on pinterest. Put down the mommy measuring stick and do the best you can for your babies. 4. This is just a season. It is. It will not last forever. Hug those babies. Rock them. Read to them. Don't worry about the big things, and take time to focus on the little things. Just remember this season will end, and there will be another season to go through. Take a deep breath. 3. Do something special for your big kids. Remind yourself how much you like your kids. Do little things with them individually to focus on just them. It will mean a lot to them and a lot to you. 2. Take time for you. This is the most important. I can say it until I'm blue in the face, and I'm still terrible about it. Even if it's going grocery shopping by yourself once a week. Do something for yourself. Anything to make you feel like a normal person! It's so easy to get caught up your daily routine, but so important to focus on making you the best you. 1. Lots and lots of grace. And I mean lots of it. It's ok to have pj and movie days. It's ok to not leave the house for a week. It's ok. You are doing a fabulous job, and you can't put too much pressure on yourself. Grace, grace grace. These are just some of the things that help me. I hope this encourages you and helps you know that you aren't alone as a mom in this tough season! Keep up the good work mama, you've got this!! There's those things that they don't tell you about when you look at that precious baby on the ultrasound machine. You are over the moon to carry a baby and stock your cabinets with oreos. Then, you go through hours of labor and push and push until you hold a tiny miracle in your arms. Then you go home and you're all on your own. Most people can't understand why anyone would be less than thrilled to have this new person in their home. How could welcoming a new precious little baby cause such devastation to a mom? Maybe your doctor tells you about postpartum depression and the signs to watch for, but most likely not. Most likely you read about it a little bit in a baby book or searched google for "why am I crying so much?". Most new moms suffer from the "baby blues", but it ends there. If that was the case for you, you are lucky. You might not really understand the postpartum illnesses that a new mom can suffer from. I didn't until after having my THIRD baby! I have had three babies of my own, and watched so many of my friends have their babies. I'm just now fully understanding what hormones can really do to your body. Let's take a minute to really understand the different postpartum illnesses. BABY BLUES Happens to over 80% of new moms. It's a stressful and exhausting time in your life, you may experience excessive crying and irritability. This will disappear on it's own in a few weeks. POSTPARTUM DEPRESSION Happens to about 1 in 5 new moms. Symptoms can occur within days or delivery or any time in the first year. POSTPARTUM ANXIETY / PANIC DISORDER You may not feel depressed, but may feel very anxious. Happens to about 10% of new moms. POSTPARTUM ANXIETY / OBSESSIVE COMPULSIVE DISORDER It is estimated that as many as 3-5% of new mothers will experience these symptoms. The most misunderstood and misdiagnosed of the disorders. POSTPARTUM POST TRAUMATIC STRESS DISORDER About 1-6% of women stuffer from this disorder (PTSD) following birth. This is caused by a real or perceived trauma during delivery or postpartum. POSTPARTUM PSYCHOSIS The most severe and the rarest postpartum reaction. It occurs in about 1 in 1000 women, usually within the first three weeks after the birth. The woman will experience a break with reality and symptoms are severe. Requires immediate medical care. I used to be one of those people that thought only the "crazy" moms had this stuff. The moms who weren't strong enough or didn't enjoy being a parent. Until I realized it can happen to anyone. It can happen to you and me. Perfectly normal, happy moms who love their lives can fall victim to hormones. The most important thing to know? It's not your fault. You didn't do anything wrong. Did you hear me? I'll say it again. IT'S NOT YOUR FAULT. The first step: admitting something is wrong and asking for help. That's been the hardest part for me. People always tell me, "if anyone can handle three under three, its you!" And "you're supermom!". Although this encouragement is great, they are also what hurt me. I believed in my head I was supermom and I could handle it all. So when I started feeling out of control, I had a hard time admitting I needed help. If I'm really as great of a mom as everyone says, then I can handle this and won't have any problems. It really is ok to take medicine to help. Jesus is our ultimate healer, and I truly believe I can be healed from this but I feel at peace with what modern medicine can offer me also. I first put my trust in Him as my healer, but still know that it's ok if he doesn't take it away. He's still on the throne whether I'm crazy or not. And the best part? God can still use you. He can use your story. The reason I'm so open and honest about my journey, is to hopefully help someone else who is struggling. Just because you have a "mental illness" does not mean that God can't use you. There were tons of crazy people in the bible that He used in big ways!!! I hope that you will take the time to understand how serious postpartum illness is. Be there for your friends, your sisters. We as moms should not be doing this alone. I pray that if you are a mom suffering in silence you will take that step to get help. Email me, reach out to a friend or just call your doctor. But DO something. Please don't suffer alone.